So you just got hacked and lost access to your email or social media account. What now? First, let’s start with what you shouldn’t do: panic. You’re not the first person to go through this, and you will not be the last. Big companies know this and have come up with ways for you to recover your account, and get your online life back on track. 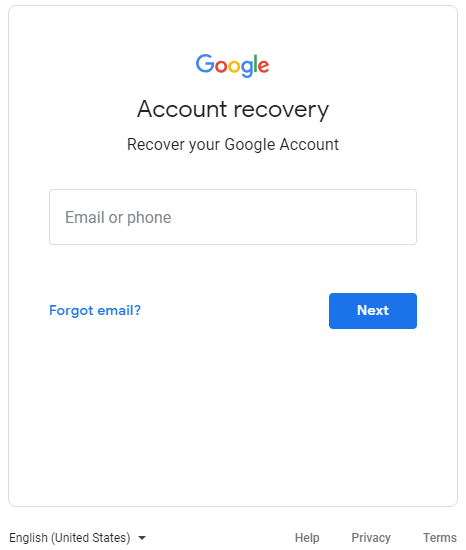 In this article, we’re going to go through all the steps you need to follow to recover important accounts such as Gmail, Outlook, Facebook, Twitter, and Instagram. 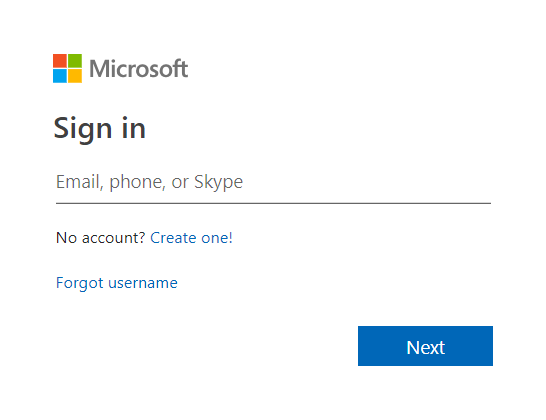 Have you logged into the account in the past from the same device? 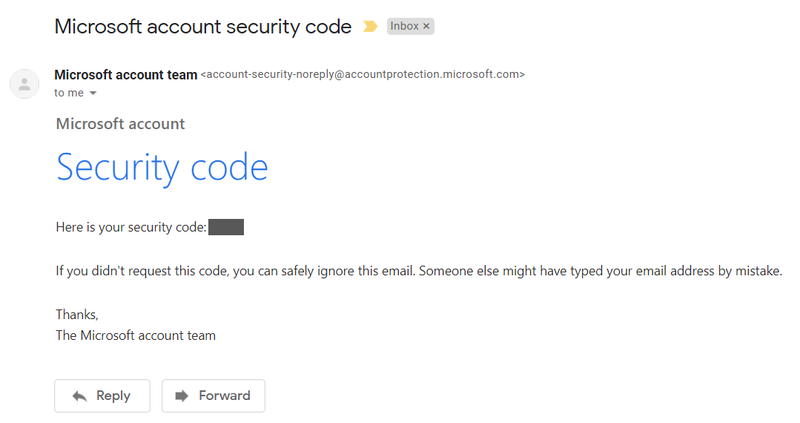 If you use the same PC for login and also to recover the account, the email provider has greater confidence that you are you. Do you have two-factor authentication activated? Do you have a backup email set up for the account? Have you remembered a past password? Did you answer any security questions? To help you navigate easier, here’s a set of internal links to quickly move from one account to the next. 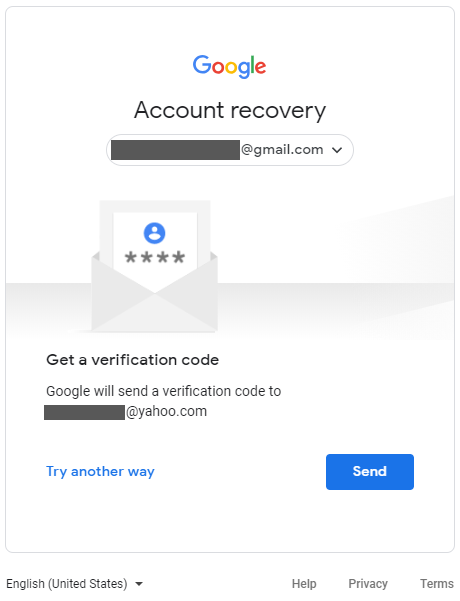 First, you need to access the following link: https://accounts.google.com/signin/recovery and type in your email address. Now you need to enter the last password you remember, and press “Next”. Try to be as accurate as possible, since an accurate password is more likely to determine if you are who you say you are. 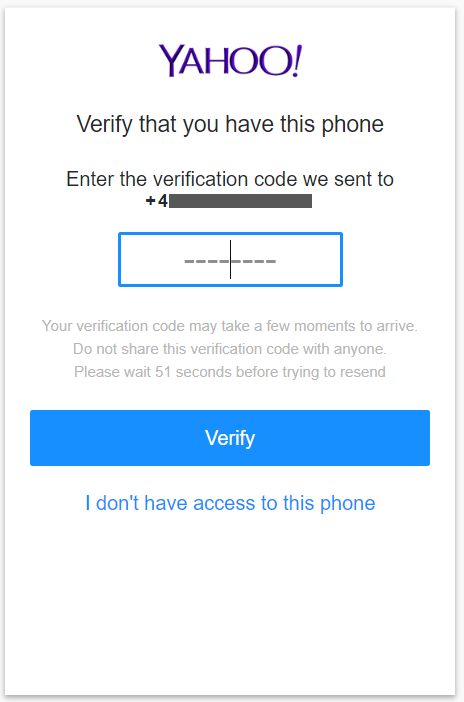 If you provided a phone number for two factor authentication, you will be taken to this screen, where you must confirm the exact number you used. By now, you should receive a push notification on your device that asks if you are actually you. 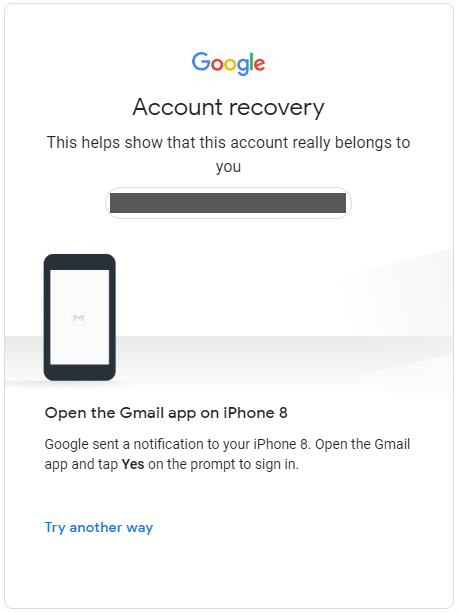 If you receive the push notification and say “Yes”, your recovery is nearly complete, and will receive a verification code on the back-up email of your choice. 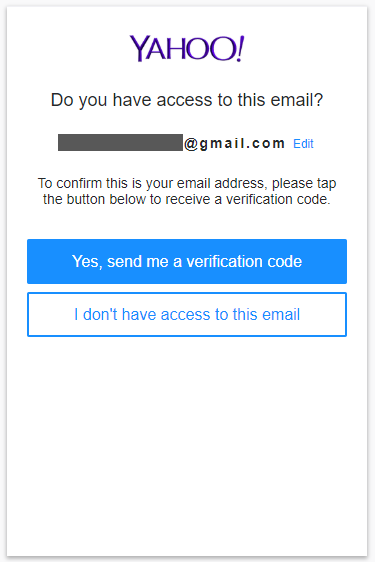 Google will then send a verification code to the email address you chose. 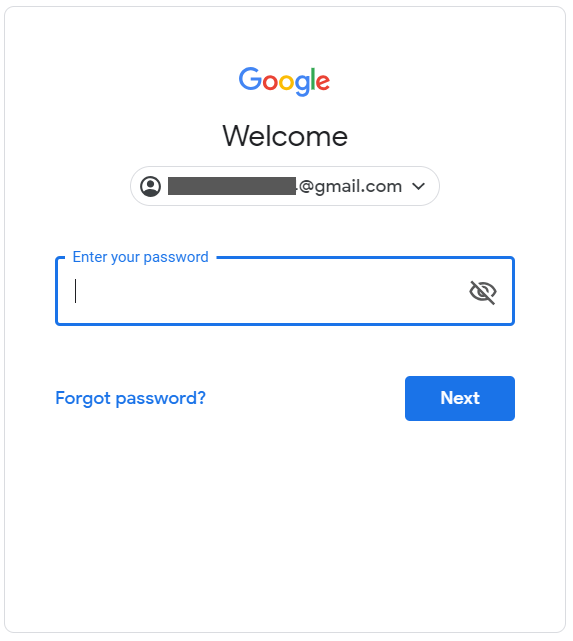 Once you enter the code, Google will ask that you create a strong, new password for your account. Is at least 10 characters long. Contains at least one upper and lower case letter. Has at least one number. As always, try to be as accurate as possible, to cement Google’s trust that you are indeed the real user behind this account. 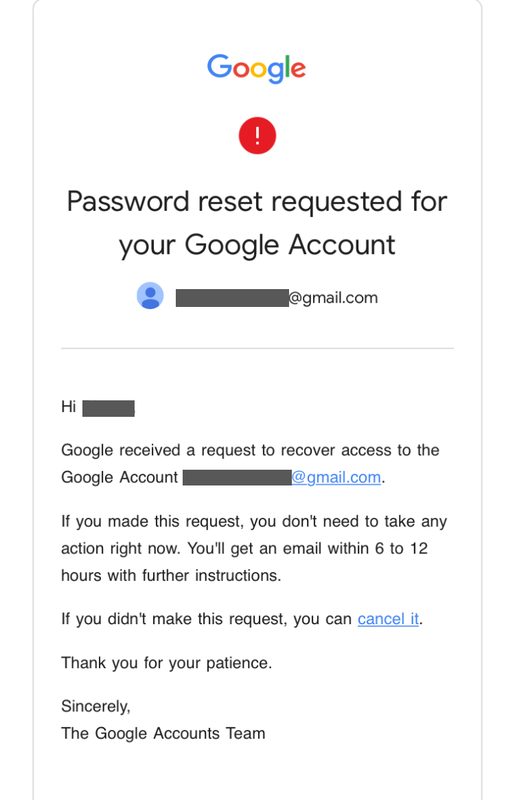 You will receive a link to reset your password at your Google email address within 6 to 12 hours. If you also set up your phone number, they will text you to make sure it was indeed you who made the request. 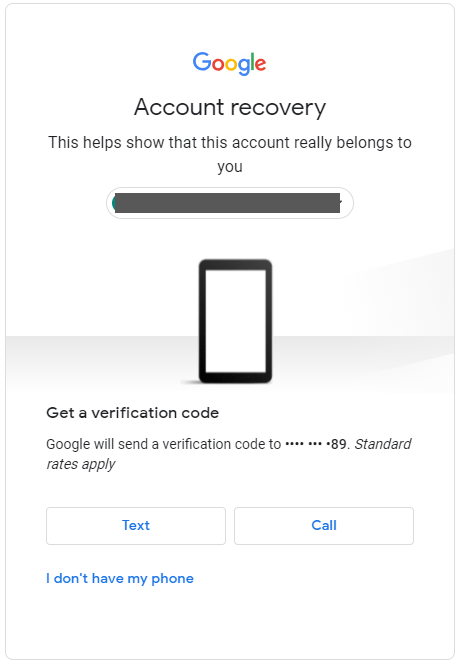 Next, they will send your recovery request to Google. Right now, everything is in Google’s court. They are the ones who will decide, based on the information you provided, whether your account is legitimate or not. If they approve your request, you will receive the following email, requesting you change your password. Just click on “Get Started”. By now, this should be it, and your account should be back into your hands safe and secure! 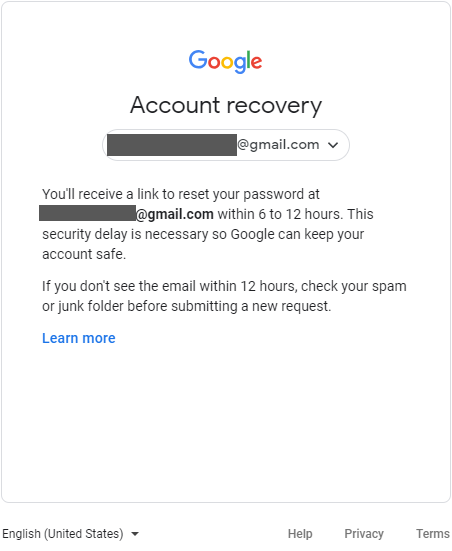 If you want to take things directly to Google in order to recover your account, we suggest you access this link to find the best option available to contact them. 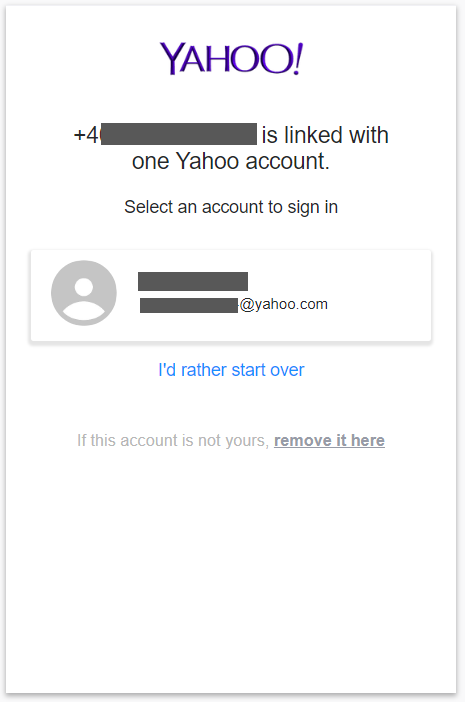 To recover your Yahoo Mail password, first, try to log into your account. If your password is changed, select “Trouble signing in?”. 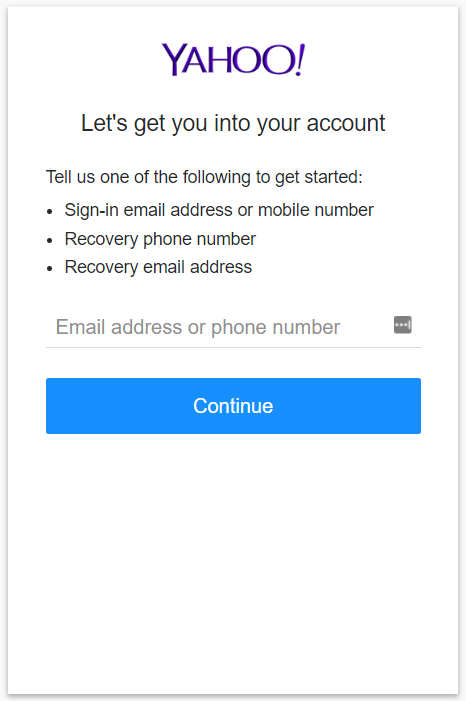 You will have the option to sign in into your account using your Yahoo sign-in email address or phone number, recovery phone number, and recovery email address. Just type in your back-up email address when you see the screen above and click Continue. 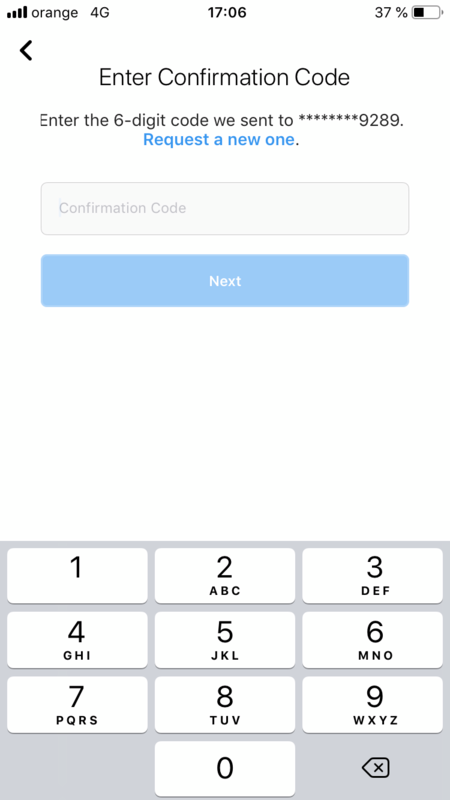 Then, you will see the screen below, where you have to select “Yes, send me a verification code”. 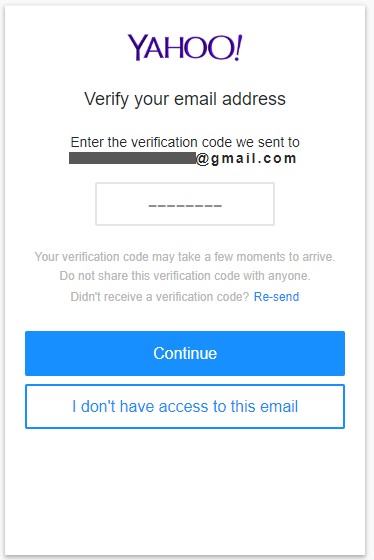 You will receive the verification code on your back-up email address and should be good to go. 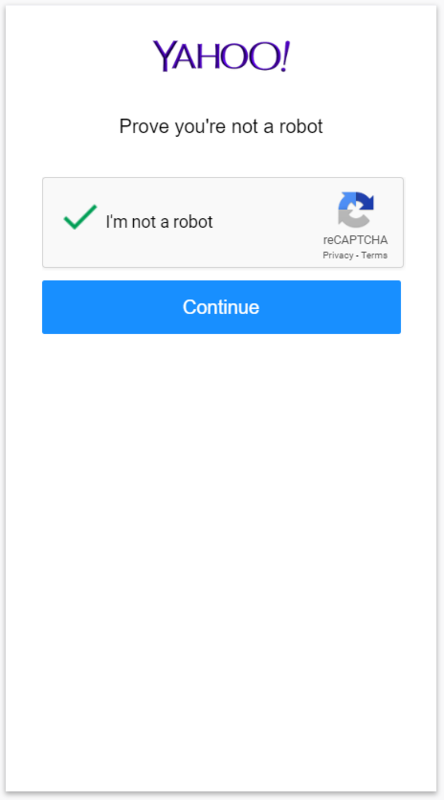 If you connected your account to a phone number, after you type in your number, first of all, you will be asked to prove you’re not a robot. After you confirm, you can click continue. 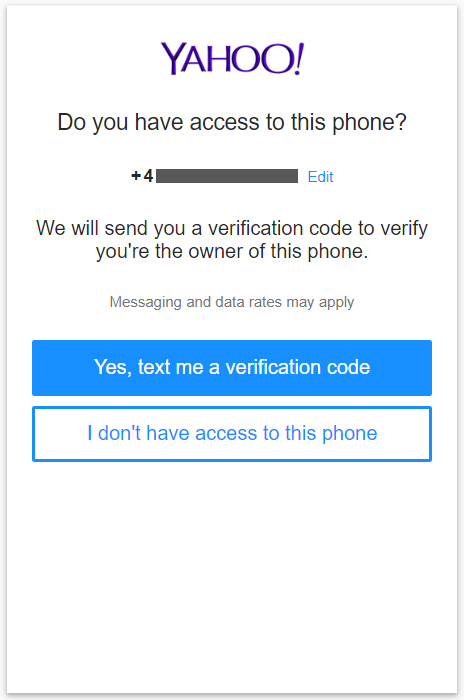 If you have access to that phone, select “Yes, text me a verification code”. Then, type in the verification code you received via SMS. Once you enter the code you received, they will confirm the phone number is linked with your Yahoo account. As soon as you click on the account name, you should be logged into your account. 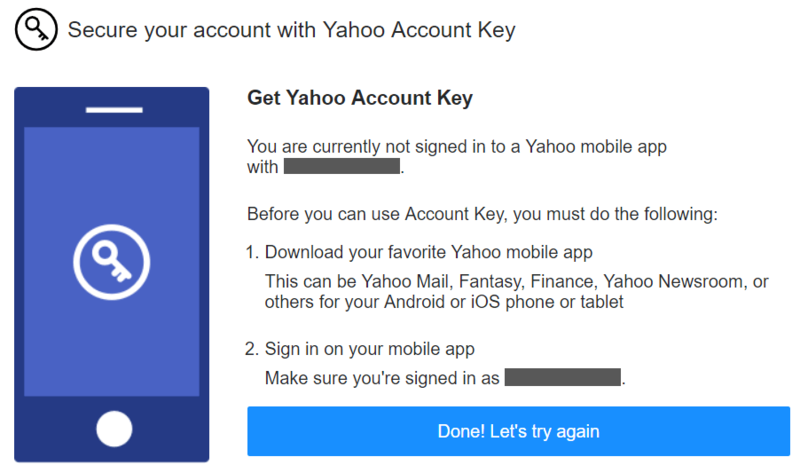 You can either use Yahoo Mail, Fantasy, Finance, Yahoo Newsroom, and others for your iOS or Android phone/tablet for securing your account with the Yahoo Account Key. For extra protection, we encourage you to enable two-step verification using your phone number. 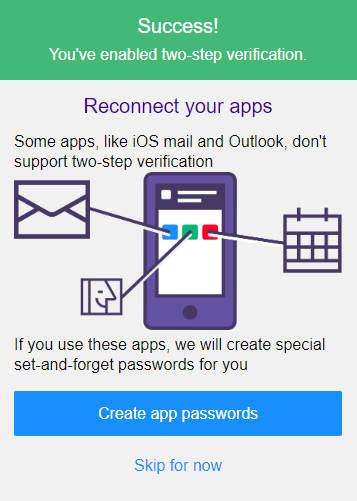 After you activate this feature, Yahoo will notify you that some apps, like iOS mail and Outlook, don’t support two-step verification, so you also have the option to generate special app passwords to reconnect them. Also, make sure you do have a phone number and a back-up email address in place for multiple ways to regain access to your account. 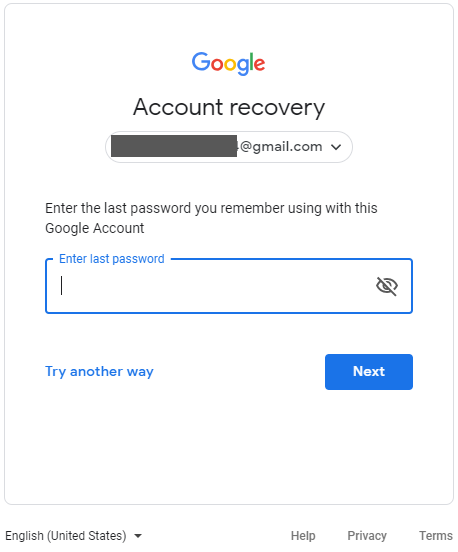 If you don’t have access anymore to your recovery email address or phone, the bad news is that you will not be able to recover your account. 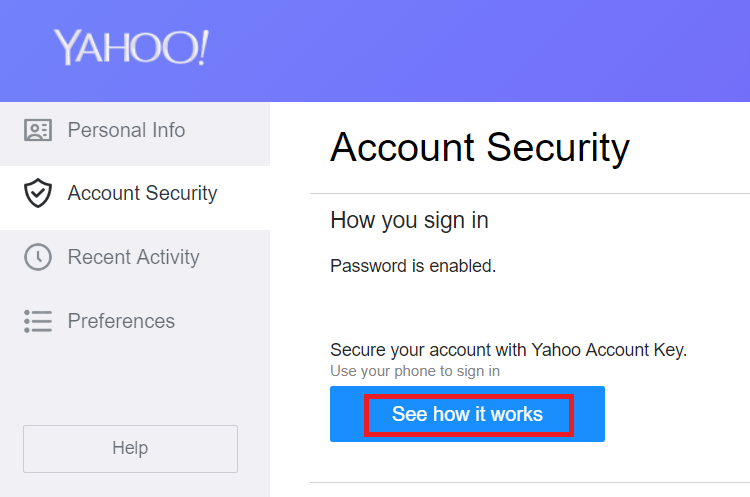 Yet, if you have a Yahoo Account Pro (paid support option, US only), you can get in touch with them by accessing Yahoo’s Help Site and selecting “Speak with a live agent”. Do not call phone numbers advertised on suspicious websites, as these are clearly online scams! The only Yahoo support sites you can rely on always end with “yahoo.com”. You can also report hacking attempts carried out against your email. As a general rule, do not engage with random callers who claim they are from Yahoo or from other providers, as these are scam phone calls. First of all, access the Outlook Sign in webpage. 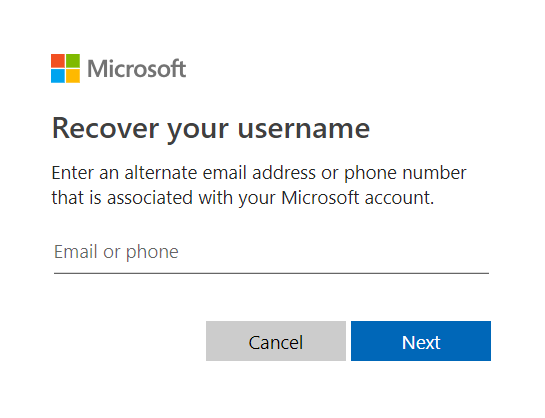 Here you have the option to either enter your alternate email address or phone number linked with your Microsoft account. 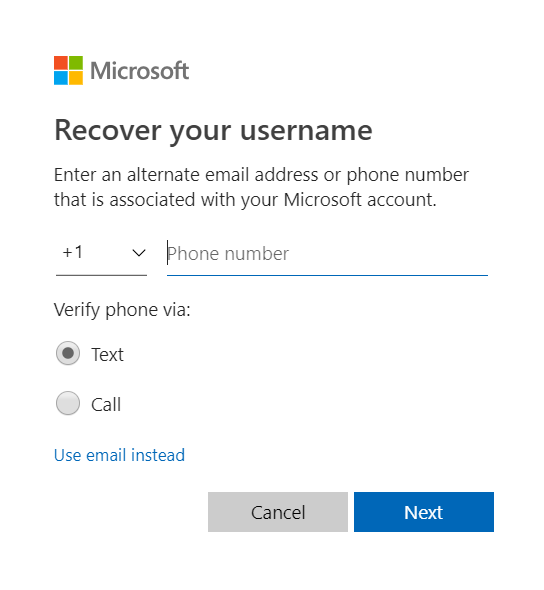 If you choose to recover your Outlook account using a phone number, simply type in your number and choose the method through which you would like to verify the phone, either by text or call. In this case, our chosen method was text. 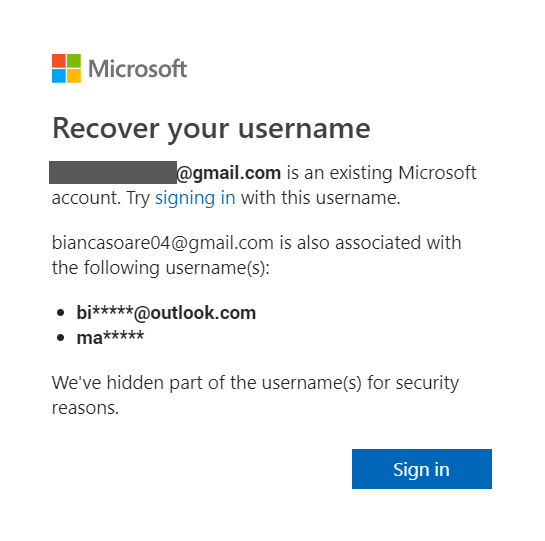 If you want to recover your Outlook account using an alternate email address, Microsoft will send you a security code at the email address provided. 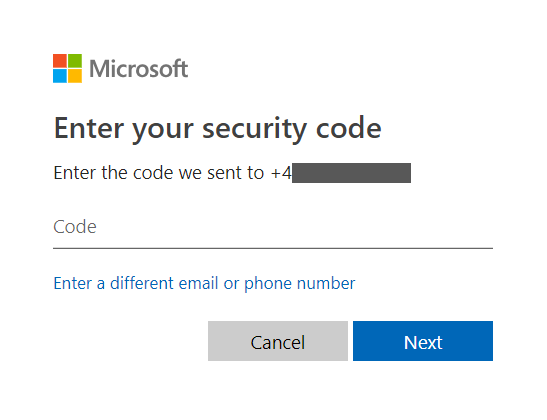 If you entered the code correctly, Microsoft will give you some hints on what your username is. 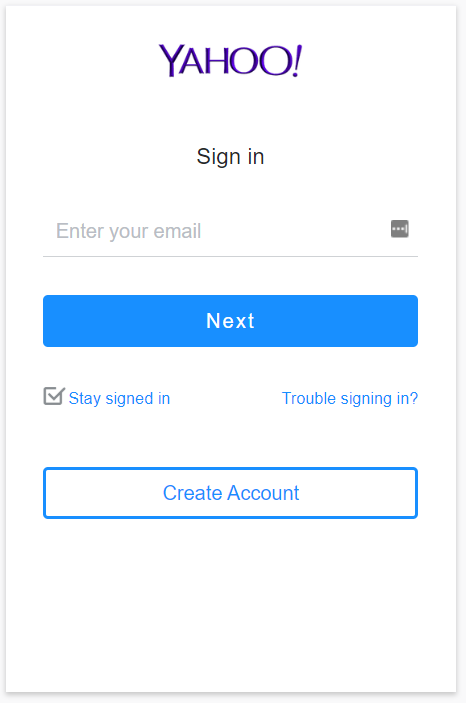 Hopefully, this way you will remember it and be able to sign in. Click “Next”. 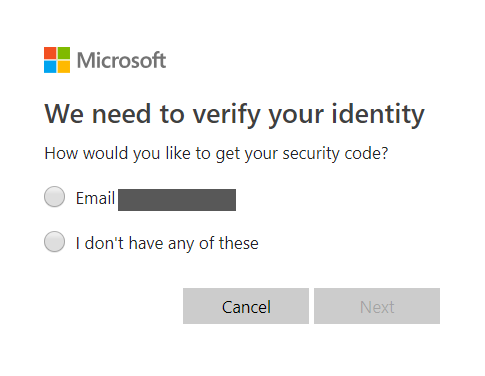 Microsoft will try to verify your identity and send you a security code by either email or phone. If you have one of those set up, you should be able to easily regain access. If you don’t have access, select “I don’t have any of these”. You will be taken to this form, where you have to fill in the required details. 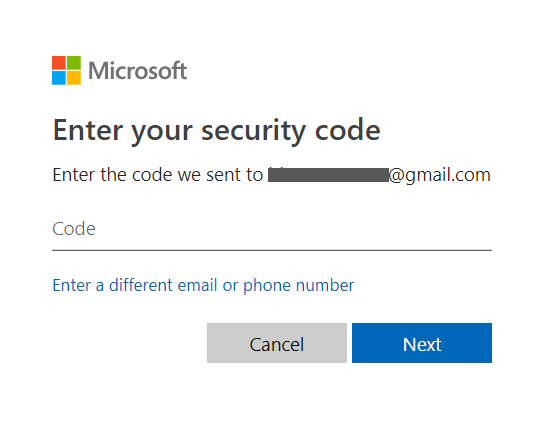 After typing in your email address, you will receive a security code, so type it in the box that will appear after you click Next. 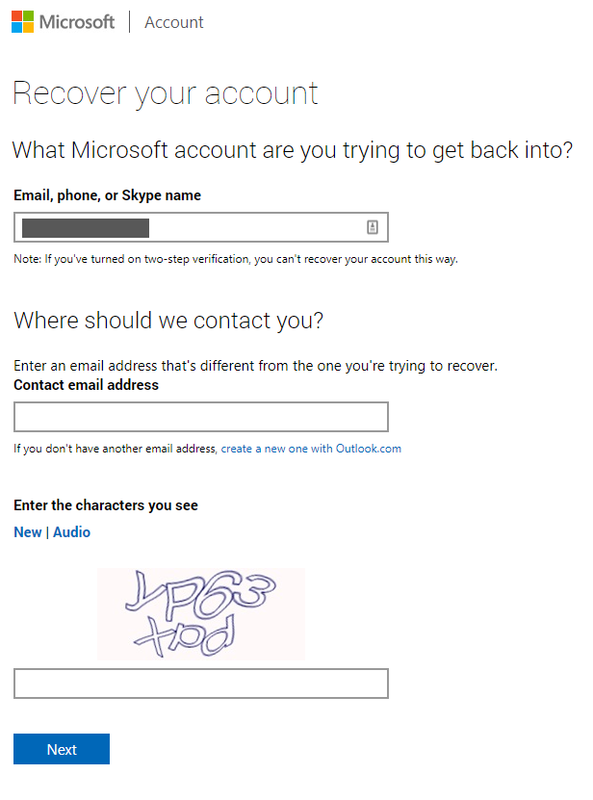 Microsoft asks that you fill in the forms from a device you previously used to log into the lost account, if possible. 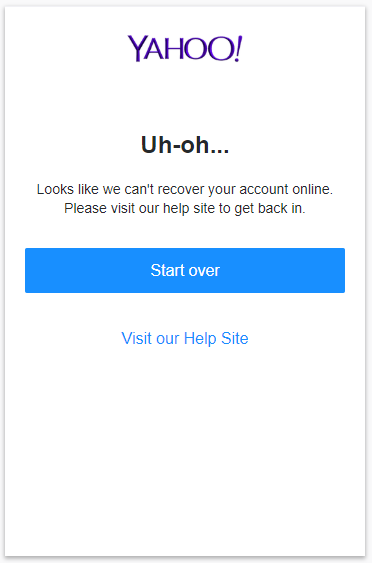 This strengthens their confidence that it’s really you who are trying to recover the account. Also, we advise you to try your best to submit all the details as accurately as possible. 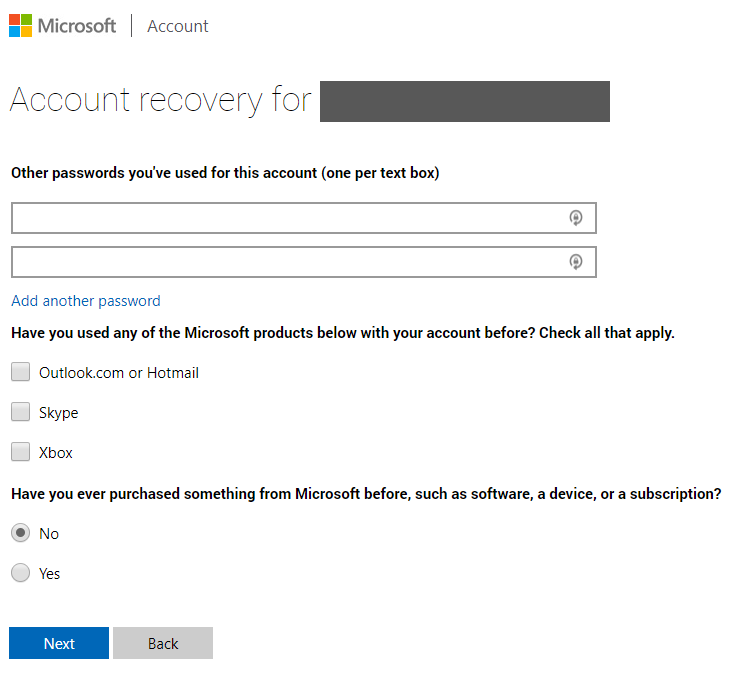 After you fill in the rest of the details, you will receive an email within 24 hours in which Microsoft will let you know if you’ve provided enough information to recover your account. So your Facebook account just got breached and someone’s obsessively posting cute cat photos every 10 minutes on your feed. 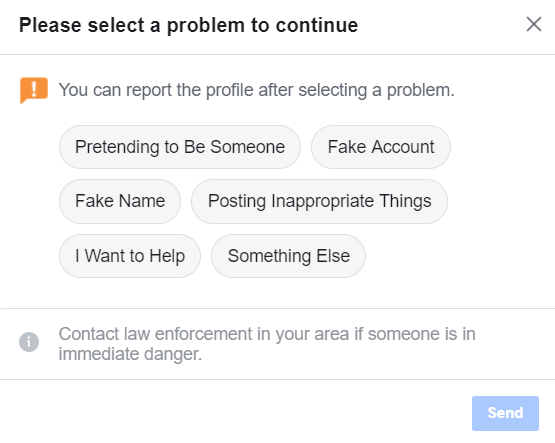 Fortunately, Facebook does have its own process to recover your account, but it requires that you still control the registration email or a phone number associated with the account. You will be asked to search for your account, by either phone or email. If you type in your email address, you will have the option to receive the code via email. After choosing the email address option, you will receive a 6-digit number. Enter it in the box below. Should you no longer have access to the email account used to create your Facebook profile, unfortunately, you will not be able to regain access to your account this way. Sadly, you will neither be able to access your account by typing in your phone number, as Facebook suggests sending you a code via email. And if you don’t have access to that email address, you reached a dead end. 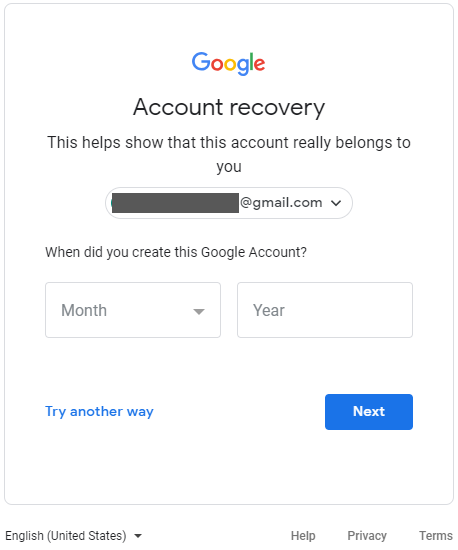 Even though this practice involves a little more effort, the good news is that you can recover your account from actually using another account. Either ask a friend to help you with this, or just make a new Facebook account and do it from there. 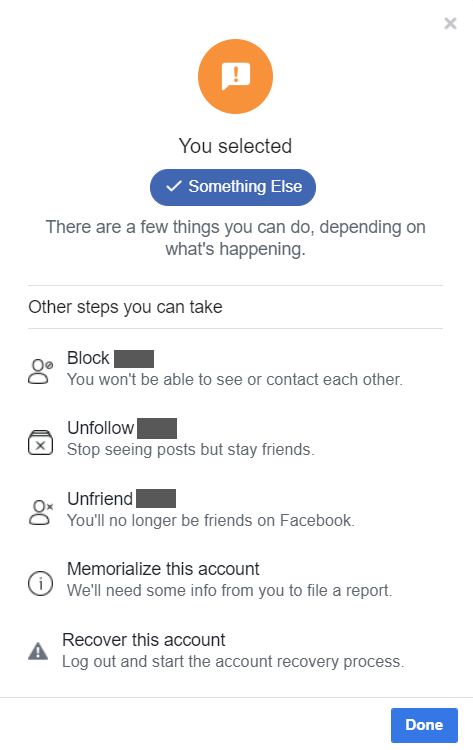 So, visit the Facebook page of your lost account, and click on the 3 dots next to the “Message” option and then click on “Report”. Choose the “Something else” option. 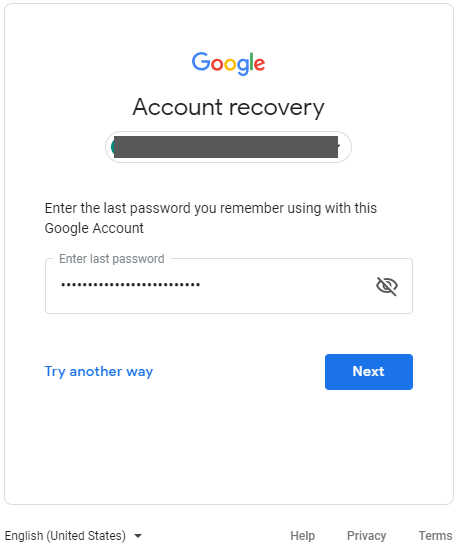 In the following menu, select “Recover this account”. In the next screen, Facebook will ask you for an email (or a phone number if you’ve added one) where they can send you an authentication code. The email address is the one you’ve used to register the account or a secondary email address you’ve added along the way. If you used the email or phone option, you will receive a message with an authentication code. 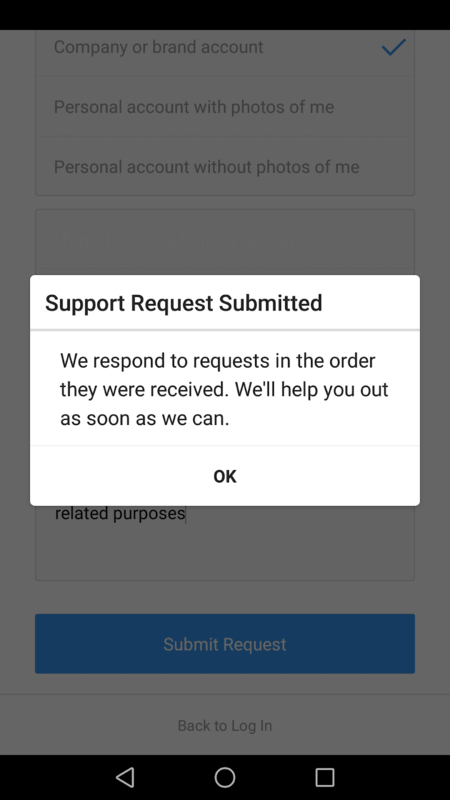 Type this confirmation code in Facebook’s recovery form. 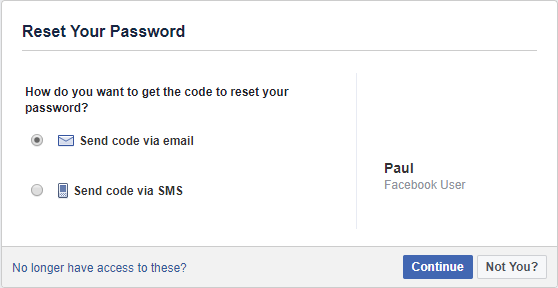 After you’ve entered this confirmation code, Facebook will ask that you enter a new password. Use our guide to help you figure out a strong password. After you’re done setting up your password, you will be asked if you want to be remotely logged out of all devices. 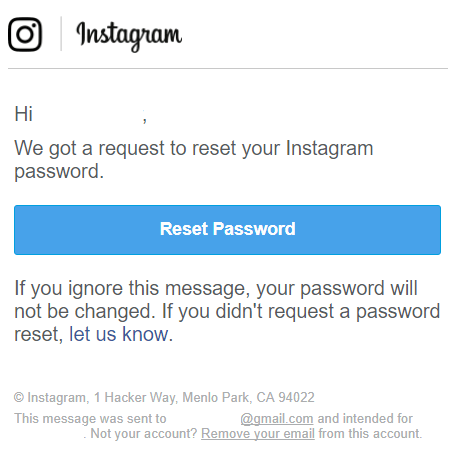 This is a very useful feature since even though you changed your password and recovered your account, the malicious hacker is still logged into your account and can continue to post from it. We strongly suggest you click the “Log out of other devices” option. And that’s it! You should have recovered your account. 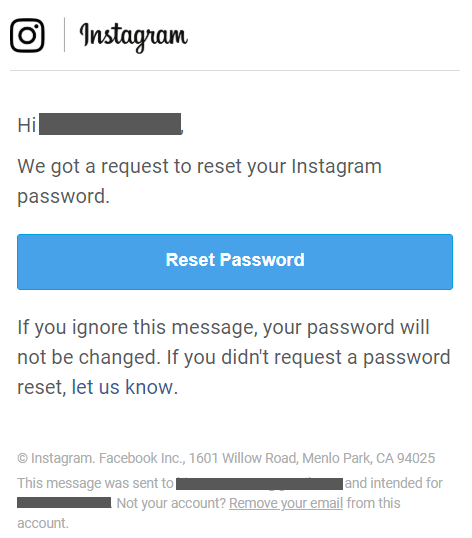 If after following these steps you are still unable to access the email you used to register your account, then chances are your Facebook account is lost for good. 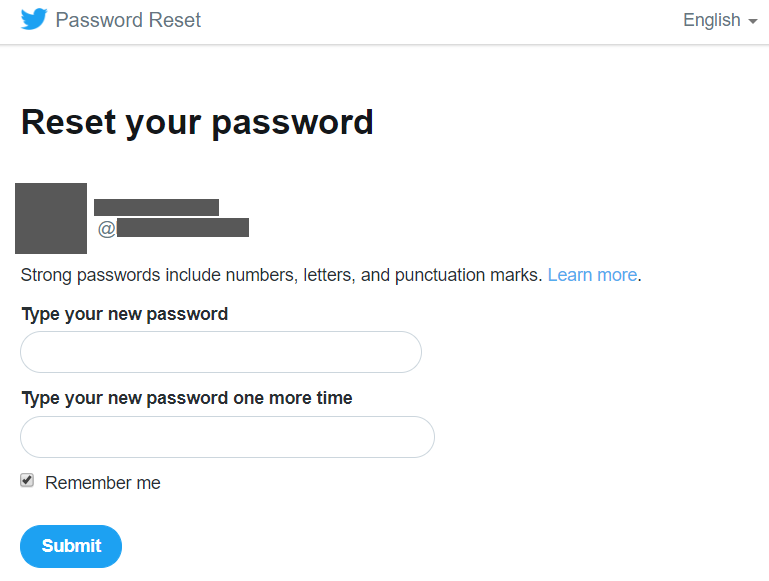 If the malicious hacker changed your Twitter password, click on the “Forgot Password?” text to start the recovery process. Follow the on-screen instructions and type in your accounts username or email. Next up, you will be asked for the registration email or verification phone number associated with the account. 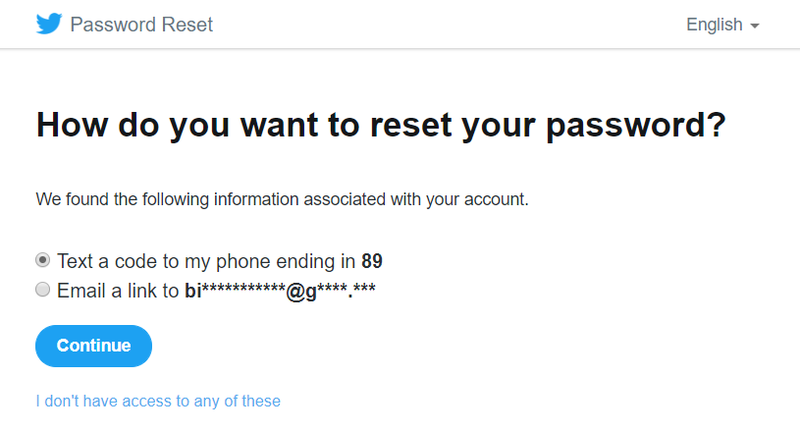 Twitter will then send you a link via email or a verification code via text message to reset your password. Click on Reset password in the email you received. In the next screen, Twitter will ask you to enter a new password. Use this guide of ours to help you set up a strong password. 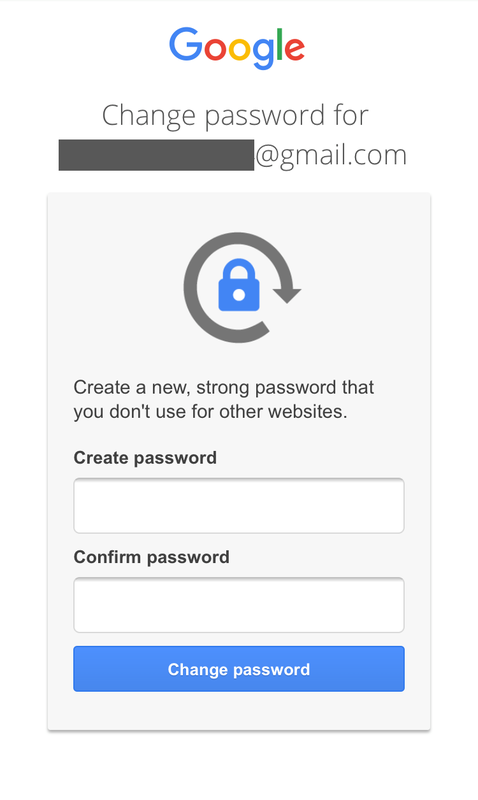 After you’ve set up a new password you should automatically be logged in to your account. So you don’t have access to your registration email account or a phone number. If you lost access to your registration email, you need to click the “I don’t have access to any of these”. 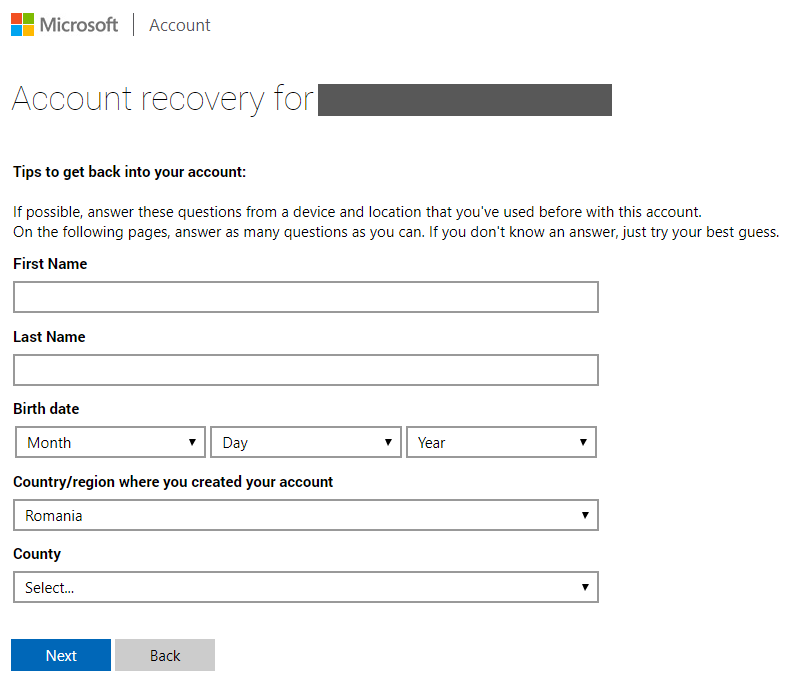 This will take you to a screen that asks which account are you currently trying to recover. Type in the Twitter account you lost access to. Next, after you provide your Twitter ID. 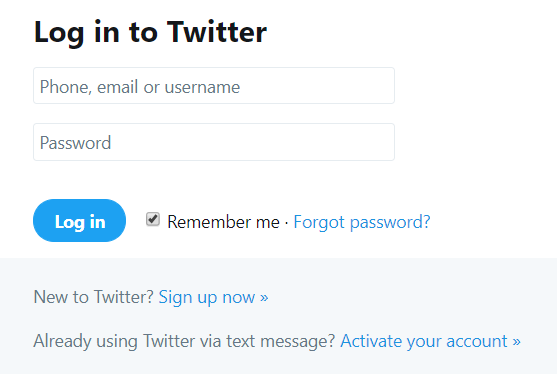 you will be asked for an email that Twitter can use to contact you, and also a form where you can input your reasons to why you lost access to your account. After you’ve filled out all the steps, you’ll need to arm yourself with patience while Twitter processes your request and contacts you. 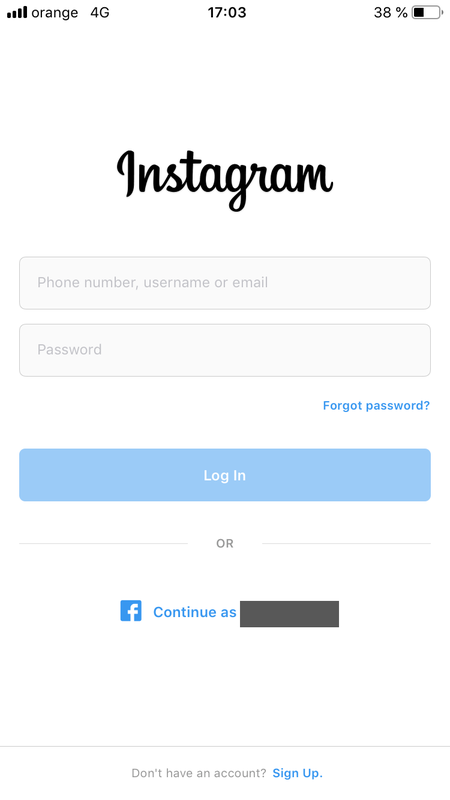 Instagram has advanced account recovery options available only from its mobile app. The desktop one only offers password reset settings. “If your account was deleted by you, or someone with your password, there’s no way to restore it”. In other words, once you lose your Instagram account, it’s permanent. 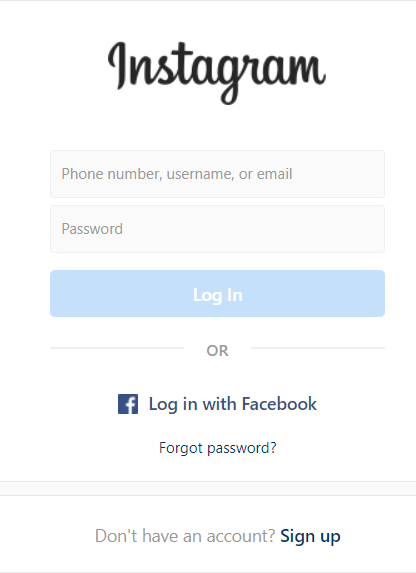 In the Login screen, press the “Forgot password?” text. The next screens offer you a set of options to access your account, depending on how you created it. Choosing the email or phone number options will send you a password reset link either on your phone or email. …or enter the 6-digit code received via SMS. Let’s say you don’t have access to your registration email or a phone number. If you lost access to both your email account and phone number, you’ll have to dig deeper and press the “Need more help?” text. 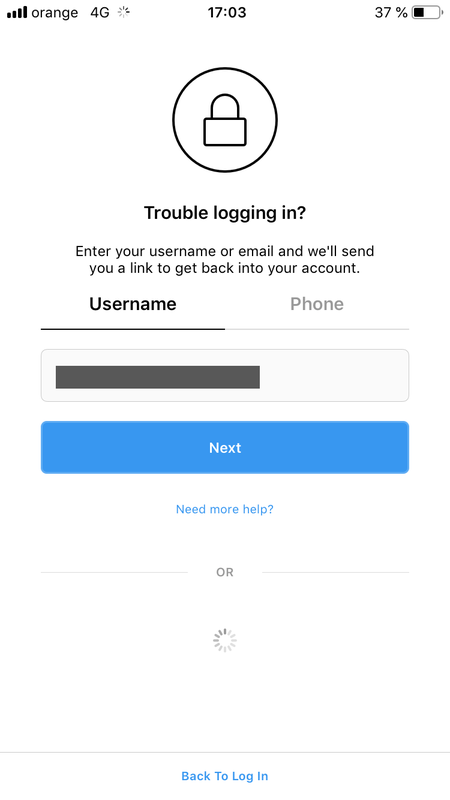 This will take you to a list of options that will help describe your account so that Instagram can properly recover it. Choose the options that best suit your situation. Also, be sure to fill in the “Any additional details?” box with as much relevant information as possible. The more in-depth you explain your situation, the easier it will be for Instagram employees to correctly recover your account. 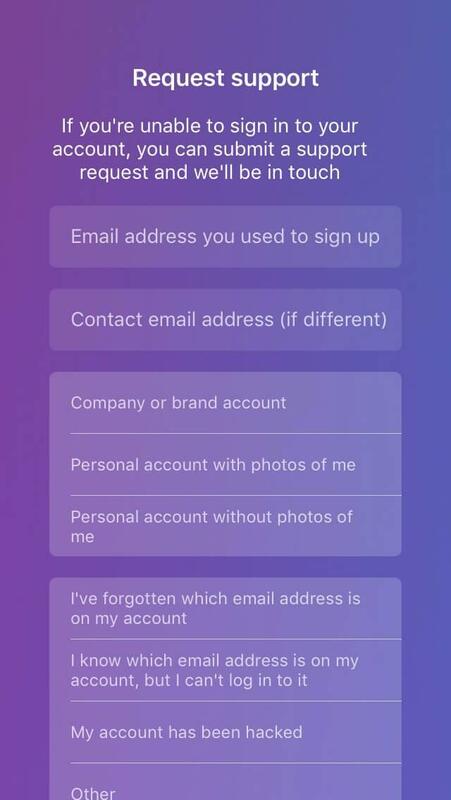 After this step, everything is in Instagram’s hands, and you will have to wait for a response from them. 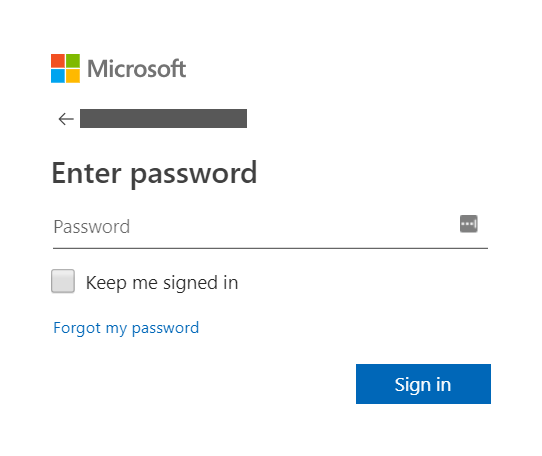 From the Login page, click the “Forgot” text on the right side of the password field. Next, you will be taken to a screen that asks for your email, phone, or username. Notice there isn’t an option in case you lost access to the email account you used to register the account. 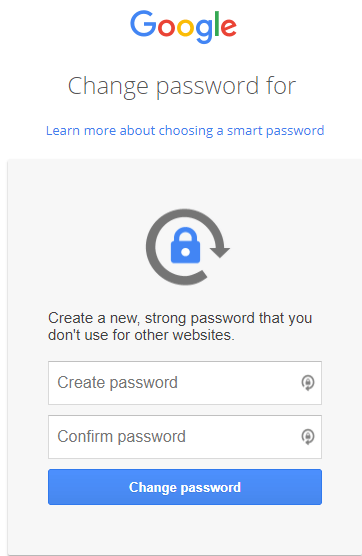 After this step, you will receive a link for a password reset link. 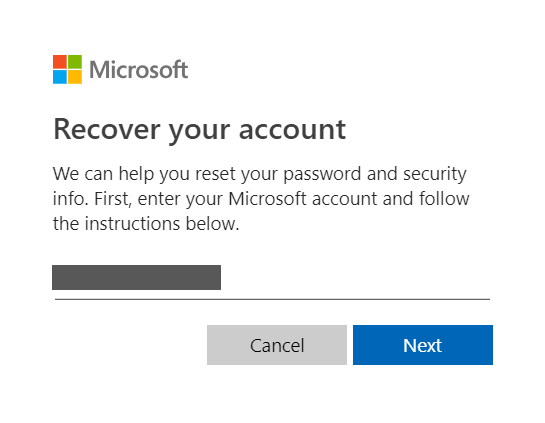 Follow the on-screen instructions to change your password and get back into your account. Use only strong passwords to secure your accounts and prevent brute force or dictionary attacks. Learn how to recognize phishing emails and avoid to click any links included in them or download their malicious attachments. Use an up to date antivirus solution and frequently scan your computer for any malicious malware that might steal your information, such as keyloggers and spyware. Don’t visit strange and fishy websites. You should especially be on the lookout for websites that don’t have “https” at the beginning. Always use two-factor authentication for every account that supports it. Here’s where you can report cybercrimes such as these in the USA or EU. Learn how to properly secure your Facebook, Instagram, Twitter or email accounts in general. Losing an account is never a pleasant experience. Fortunately, most email and social media providers out there offer extensive features to recover them. 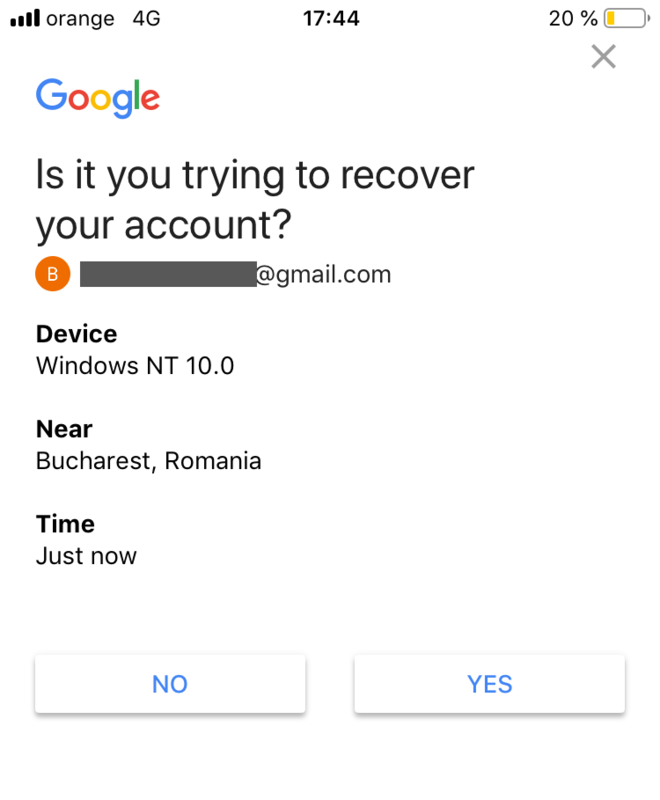 As you can see, however, adding two-factor authentication, recovery emails or other security measures will greatly simplify the process, while making it much quicker. Remember the old proverb “an ounce of prevention is better than a pound of cure”. Have you ever lost access to your accounts and had to resort to back-up measures such as these? What was the result? Did your online habits change after this experience? Leave us a comment below. *This article was initially published by Paul Cucu in June 2017 and updated by Bianca Soare in April 2019.
blokg and will eventually come back very soon. I want to encourage you continue your great work, have a nice morning! Amazing thanks for sharing this informative article..!! I am glad to visit here again very informative and helpful website. Hello there! Thanks so much for the feedback. It’s great to hear you are enjoying our content. thanx for sharing this amazing article, am visit many websites to recovery my account, but 90% Websites Provide Uncomplete knowledge, your post are very helpfull me. thanx again. These are genbuinely fantastic ideas in about blogging. You have touched some good factrs here. Any way keep up wrinting. You may be able to help me. I’m Getting Error while login Time Warner Email. this blog is imaging advice for us. I am now not sure where you’re getting your info, however good topic. Thank you for sharing the important information we have shared with people and we hope from God that God will get your longevity. Awesome information and totally on point! It was exactly the information I was searching for and now have a clear understanding of how to start making money with youtube. I get easily frustrated when searching for needed information, I find that there are gaps in information or its not explained properly and for some reason I get the feeling that it has been told like that on purpose with the intent to keep me searching and searching and searching only to get no real answers to my questions all the while spending way too much of my valuable time for nothing. But this information was real and I appreciated it so so very much, Thank you! Hello and many thanks for your kind words and feedback! We are happy to know that this article was useful. thhis post tһеn you һave to apply ѕuch methodss to your won webpage. Really very helpful blog. I will share your blog to my technical support team. How you wanna to do it. I can just suggest you nothing more than that so here is my suggestion. if you wanna take it so take it otherwise leave it. Thanks for this useful information keep it up. Hello! Happy to know this article was useful! Hi, Grace! Thanks for reaching out! 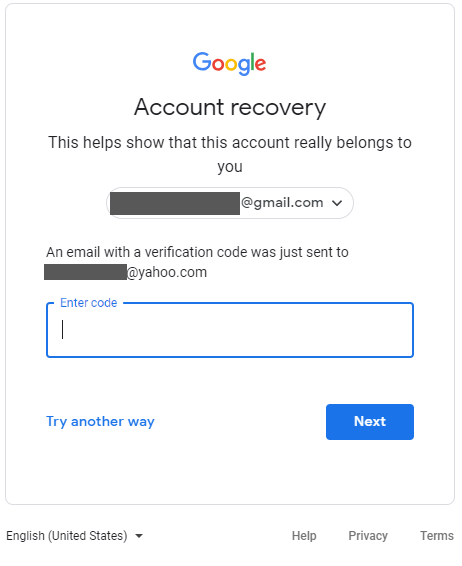 Use this guide to recover your Yahoo account: https://heimdalsecurity.com/blog/how-to-recover-account/#Yahoo Hope this helps! Stay safe! Gmail has become the number one emailing service provider on the internet. With Gmail login guide provided by SIGNIN EMAIL, our experts will help you to easily access your Gmail account if you face any problem. Many thanks for your feedback and for reading our blog! Must I start off a weblog or internet for dependancy/restoration comparable content material? Nice post , thank you for sharing the post. Nice and informative post for all users. Activation lock keeps your Apple device as well as information safe in case if it gets lost or stolen. However it is always advised to keep it on but still, if you want to turn it off then you have to go through a procedure. You can do so by entering the correct Apple ID and password. he treats all clients services with 100% anonymity, he did carryout a services for me, cant disclose that. 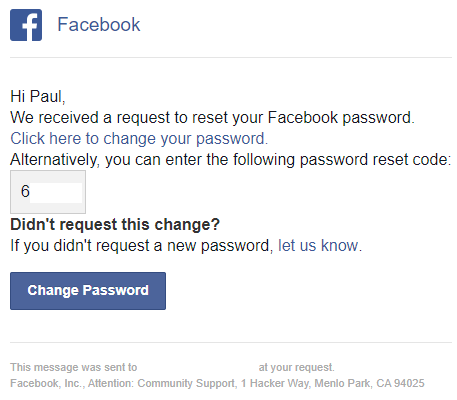 is it possible to get back my facebook account without using my old gmail and number? I am QuickBooks Desktop Support Executive and I provide every technical aspect of all issues that users may come across during the use of QuickBooks Desktop like installation, updates and setup. (shauntayjohnsons666@gmail.com) They can hack into an Iphone, email and also whatsapp. they are good. (shauntayjohnsons666@gmail.com) made me happy when they help me got a file from my lost email. They can hack into an Iphone, email and also whatsapp. they are good. Thank you for sharing information about Gmail . Keep posting amazing article like this…. Such an amazing information, thanks for sharing. Hello there! Many thanks for your feedback! Hey really great blog thanks for sharing!!!! Really a great post. Thanks for sharing this informative Post. Many thanks for your feedback! Will add this idea to our content roadmap and consider writing something about it. Thanks for reading our blog. I hope you do not expect to find a genuine hacker with ease these days considering the influx of so many people looking to rip you off. I got lucky after loosing so much money to fakers. i consider it a privilege, having found a Computer hacking forensic investigator, an EC Council certified personnel on encryption, and a specialist in advanced penetration. You can reach Kevin on +12536422665. You’ll be glad you did. Thanks for sharing this, i contacted him and he did an amazing job. You share nice and valuable information It boosts my knowledge, Thanks for sharing. and believe me i have made a tutorial over the same topic through the help of your blog, thanks for the same. By the way you have really written a amazing blog, it’s like three in one box. the reason thjat i lke to gain knowledge of more and more. aree so many choices out thrre that I’m totally overwhelmed ..
Nice and informative blog . you read this blog and not understand call 18444490455. [support@thehaccguru.com] made me happy when they help me got a file from my lost email. They can hack into an Iphone, email and also whatsapp. they are good. Great article. Very informative.I do this often whenever I forget my password of any account. Would share this post with my friends. You have explained very well in detailed manner.Thanks for sharing. Hello and thank you so much for your kind words! Happy to know it was useful for you. As a newbie to the crypto world, I went thru several security checks and I.D. verifications for wallets and accounts. 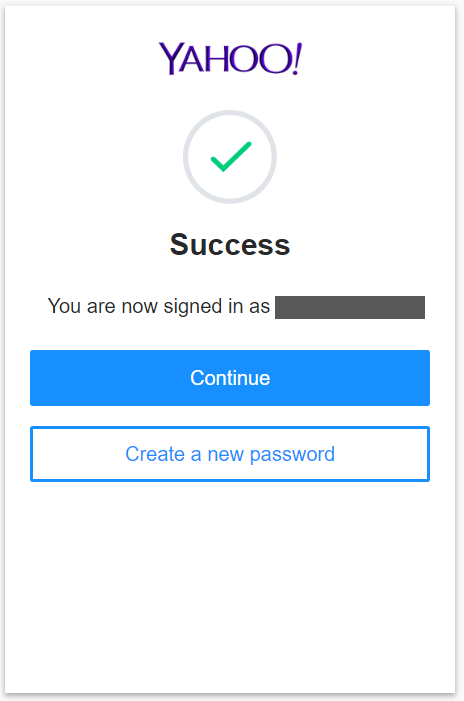 a code or secret key to a mobile GA. (2fa google authentication) step. I drowned my phone, have all my secret wallet codes, yet I cannot log in to my trading account because I cannot find my mobile GA keys. I would think google of all people would make a better effort to keep us from killing ourselves with that one vital step. Great data on your website, thank you for setting aside an ideal opportunity to impart to us. Stunning knowledge you have on this present, it’s pleasant to discover a site that points of interest such a great amount of data about distinctive specialists. My Facebook page was hacked nearly a week ago. The hacker changed my email address and passoword, and changed the language to Arabic on my account, and I was locked out. 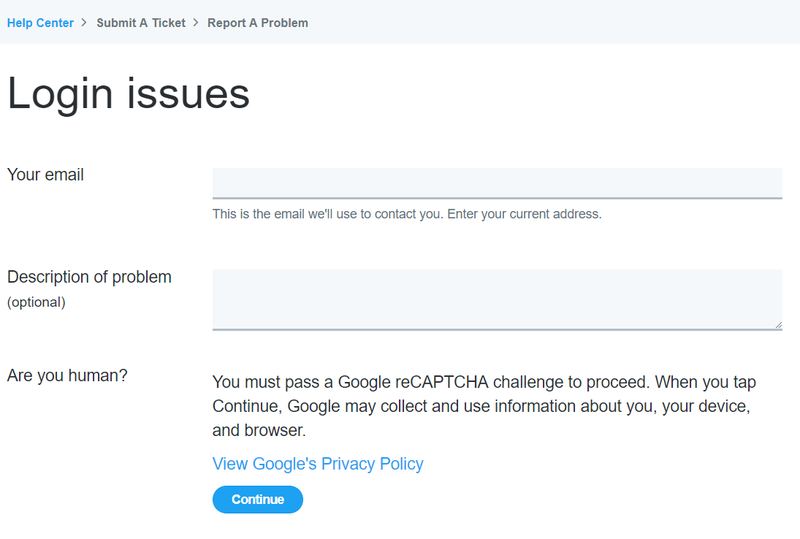 I followed all of the above steps and reported my account as compromised/hacked several times. They took me through a process of submitting a new email address, and I received an email (in Arabic, but I used Google translate) to my new email address to provide documentation to verify my identity. I provided three forms of documentation, including my driver’s license and my professional license to practice (I’m a psychologist). But it has been nearly a week, and I have not received a response. I’ve replied to the same email strain about 4 times. How long does it take to verify my ID, and when can I expect to hear something? I believe my account is offline at this time. Hello and thanks for reaching out! We didn’t know about this issue and didn’t receive feedback on it from other readers. It could be an issue with your browser. 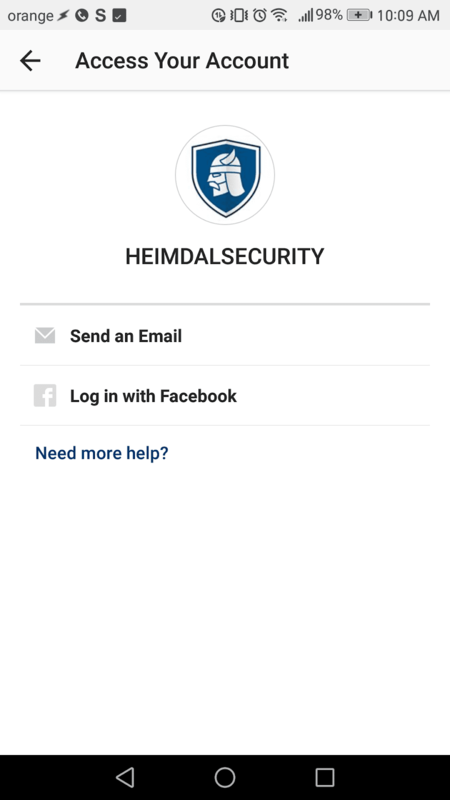 Could you send us a screenshot of how the text is displayed to iri@heimdalsecurity.com and investigate it? Thank you! I also had a problem to recover my FB account but now after reading your article, I recover my account with the help of alternative email address. Hello and many thanks for your feedback! 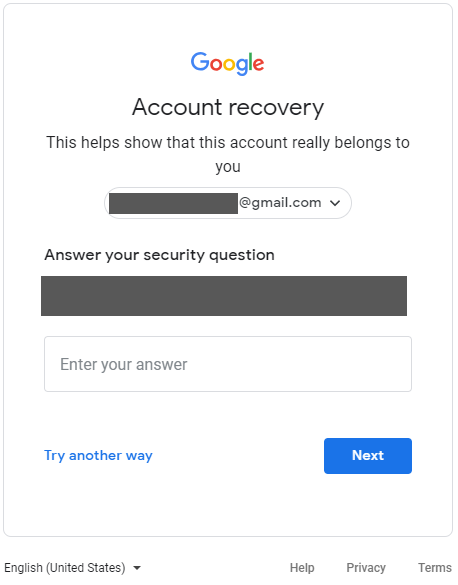 I am happy this article helped you easily recover your account. Thanks for reading our blog! Stay safe! 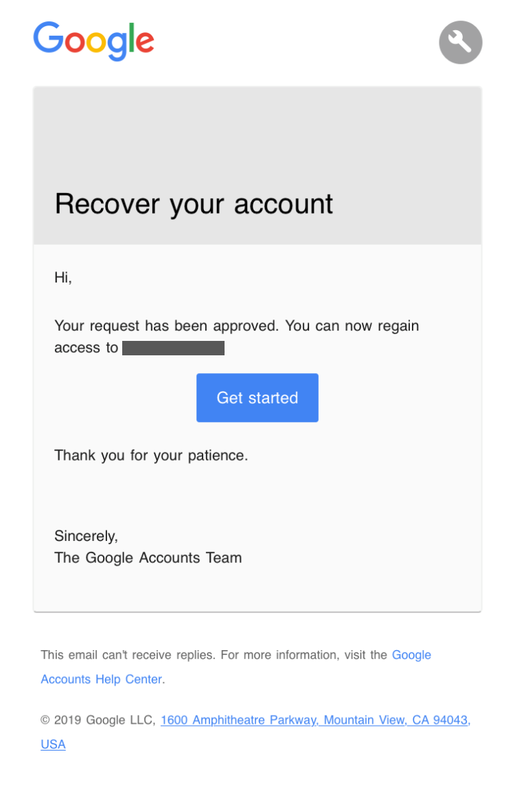 I just Submitted to Google to Recover my Hacked Gmail Account. You are Great . Good Writing . Helpful Article. I hope i will get back my account soon. Hello, William and thank you so much for your kind words! Happy to know our blog is useful and can offer valuable information so users learn about online safety and how to keep their digital assets secure. It was a great article. Keep posting more like this. Many thanks for your feedback, Doli! Happy to know the article was useful. Thanks for reading our blog! Thank you so much for sharing this amazing article with us.I really appreciate your efforts to educate people.Best Of Luck & will stay connected to your blog for the future post. Hello and thank you for your kind words. Glad to know you find useful information in this article. keep it up, and make people more easy to use these things. Hello and thank you for your kind words! Happy to know this article was helpful. If you want to gain more knowledge in cyber security, we recommend checking out our online educational resources: https://heimdalsecurity.com/security-education-resources and learn how to stay safe online. Hello, Julia! Thank you so much for your feedback, we appreciate it! Thank you for being my own mentor on thhis theme. you really handled thhe aras I regarded as being controversial. Nice and Informartive Post . Thanks for sharing this great post. Thank you for your feedback, Rihana! u provided us all required information .. keep up and Thank u for this wonderful post…. I have recovered my lost Yahoo login. This is really awesome post it helped me a lot thanks for sharing this post. Quick support for Recover Facebook Account problems our Customer Service team members are ready to help you. They will fix all kinds of your Facebook Account related issues after making a call at toll free support 1~844~872~1287 phone number with a reliable solution. This is invaluable advice. Bookmarked for sure.